Ever since I got my spinning wheel, I have developed an absolute obsession with spinning my own yarn! But when I first started, I couldn't figure out what the heck to do with it! 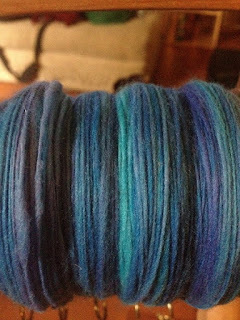 I'm not a lace weight spinner, so I don't get miles and miles of yarn when I spin. 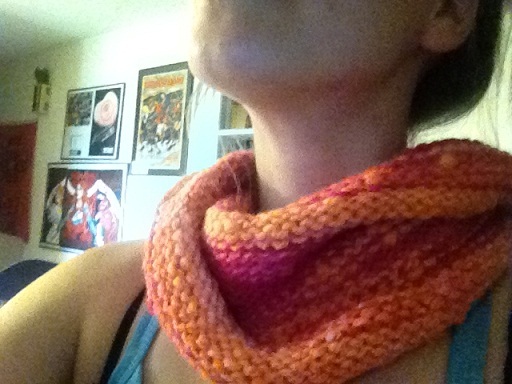 I like a good 3-ply kind of chunky, knobby, and in some fun, bright colors! 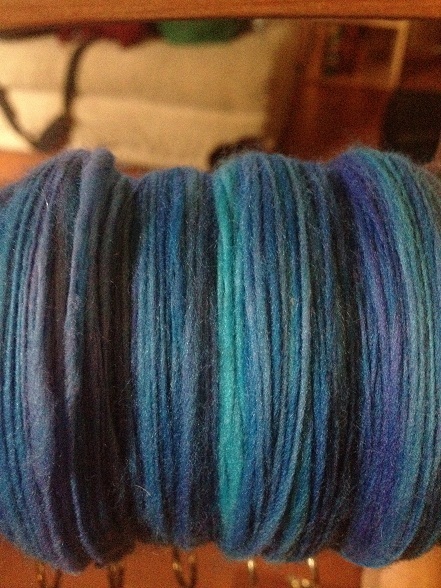 This is some bluish/tealish yarn I'm working up right now. I dye all my own roving and I can't seem to tone down my colors! Every time I swear I'm going to do something muted I end up with neon! And this twisted infinity cowl! 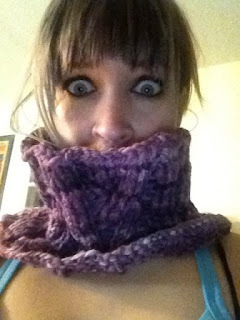 This purple cable cowl! Not sure if I'm going to keep this cowl as is, or frog it and turn it into a hat. 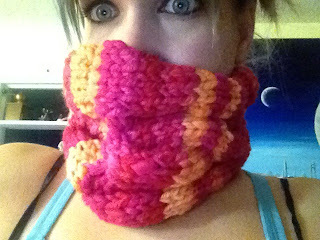 I wish I could spin yarn as fast as I can knit with it! 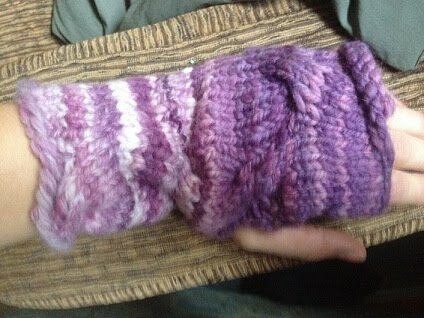 I'm dying to ply the yarn from the first pic so I can turn it into some leg warmers!